This was a record that blindsided me at the local Peaches back in the day, while perusing [gasp!] domestic 12″ singles. I had never heard of the artist in question, but when I examined the record more closely, I saw two names that held some sway; co-producers Gareth [John Foxx] Jones and Roma [Laurie Anderson] Baran. Sold, American! That was enough data to have me part with my $4.98 easily enough. When I played it, I discovered it to be a perky synth pop ode to the fun of a mènage á trois with two people that the singer both loved. The minimal synth bed was enhanced with lots of percussive filigree that was pretty far from the mark of what ca. 1985 synth-pop sounded like, thankfully! No gated drum sound here. I liked the B-side, “Yama-Ha,” even more. It was as delightful an homage to the makers of the dreaded DX7 as could be imagined, considering my antipathy for their hardware. The single was an intriguing harbinger of things to come, and it appeared to my eyes that Warner Bros. was pulling a German licensee into the American market just for my ears only. Even though the sisters Humpe [Inga + Anete] sang in English, the clear-eyed qualities they brought to the music, marked this as too European for those dreaded days of the Reaganoid middle eighties. This entry was posted in Blast From The Past, Record Review and tagged 12" singles, Anete Humpe. Bookmark the permalink. 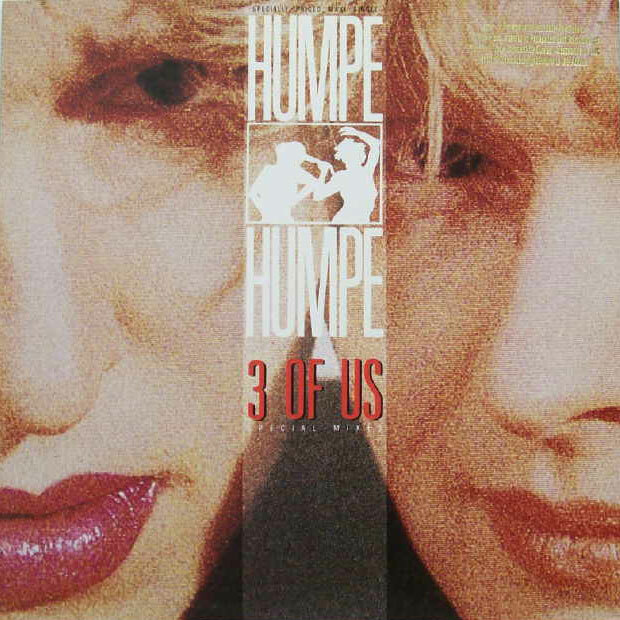 A buddy of mine had this Humpe Humpe album when it was fresh. I recall being unimpressed with it at the time, but that was a long time ago. I’m gonna send him a link to this post. Maybe he can chime in. JT – Time works in mysterious ways. I spent a lot of the last 25 years investigating things I thought were also rans back in the day to some enjoyment. Not everything is Japan/Simple Minds caliber, nor did it need to be.